policy considerations surrounding North Korea. On September 11, 2017, HRNK Executive Director Greg Scarlatoiu spoke along with President and CEO of the Mansfield Foundation, Frank Jannuzi, at the Carnegie Endowment for International Peace in Washington, DC. 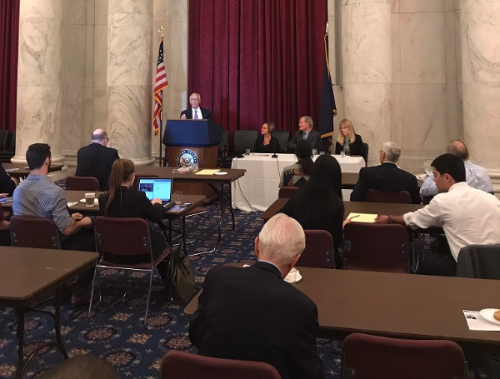 During the press briefing, Greg Scarlatoiu emphasized that each and every conceivable human right is violated in North Korea and that it is the only country still running a political prison camp system, in which 120,000 men, women, and children continue to be imprisoned. 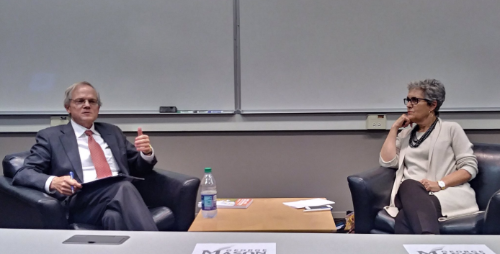 Frank Jannuzi spoke about the growth of the North Korean economy led by the private or quasi-private sector, Chinese direct investment, and North Koreans working abroad. ​From left to right: Michael J. Green, ​Eriko Yamatani, Takuya Yokota, and Yoichi Shimada. 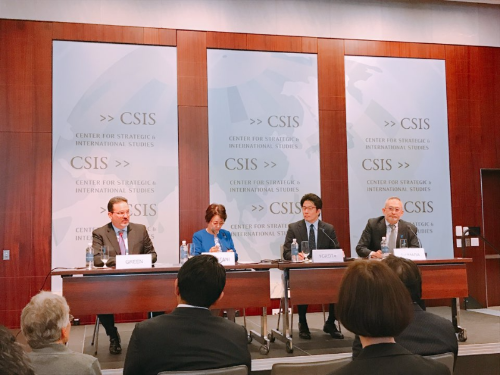 On September 13, 2017, the Center for Strategic and International Studies hosted the panel discussion "An Update on North Korea’s Abduction of Japanese Citizens." For an in-depth report on listing North Korea as a State Sponsor of Terrorism, see Joshua Stanton, Arsenal of Terror: North Korea, State Sponsor of Terrorism (Washington, DC: Committee for Human Rights in North Korea, 2015), https://www.hrnk.org/uploads/pdfs/4_27_15_Stanton_ArsenalofTerror.pdf. ​and Lt. Gen. Wallace "Chip" Gregson. (USMC, Ret.) Photograph credit: CFTNI. 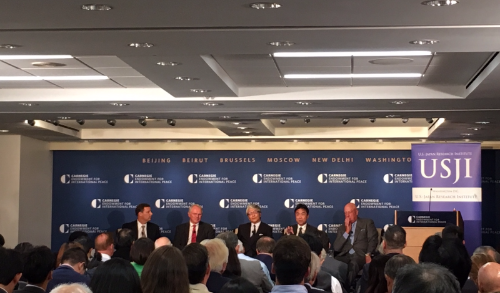 On September 18, 2017, HRNK Executive Director Greg Scarlatoiu spoke on a panel discussion entitled, “The North Korea Crisis: Causes and Cures,” hosted by the Center for the National Interest, along with Joseph DeTrani, former U.S. Special Envoy for the Six Party Talks with North Korea. The speakers provided an overview of regime dynamics, human rights, humanitarian, military, political security, and diplomatic issues. The event can be viewed at https://www.youtube.com/watch?v=tijFdPrCg8s. 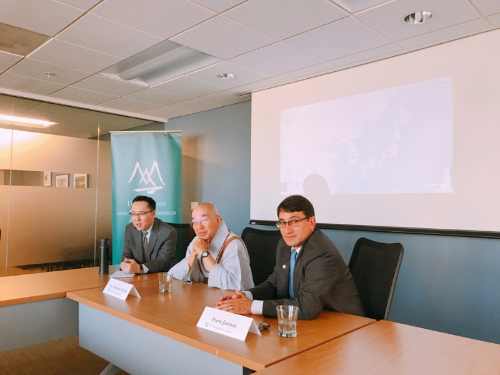 On September 25, the Mansfield Foundation hosted a round table discussion with the Venerable Pomnyun Sunim, a Buddhist monk, activist, and founder of the nongovernmental organization Good Friends for Peace, Human Rights, and Refugee Issues. The Venerable Pomnyun Sunim drew from his experience and contacts in North Korea to suggest steps toward resolving the current crisis. On September 5, 2017, Young-Kwan Yoon, professor emeritus of International Relations at Seoul National University and former Minister of Foreign Affairs of Republic of Korea, along with Kang Choi, Abraham Denmark, and Michael Pillsbury, spoke on the panel titled, "Opportunities and Challenges for the Alliance." On September 18, 2017, the Carnegie Endowment for International Peace hosted "Weighing Bad Options: Past Diplomacy with North Korea and Alliance Options." Panelists emphasized the need to recognize the serious threat posed by North Korea due to its continued development of missiles and nuclear weapons. From left to right: Robert Craft, Renee Doplick, Thomas Graham Jr, and Missy Ryan. On September 20, 2017, UNA-NCA (United Nations Association-National Capital Area) and its International Law Committee organized a panel discussion, "The North Korean Nuclear Challenge," on the threat posed by North Korean nuclear weapons and weapon delivery vehicles, North Korea's international behavior and objectives, and UN sanctions. From left to right: Moderator Bob Schieffer, Michael J. Green, Sue Mi Terry, and David Sanger. On September 26, 2017, the Center for Strategic and International Studies hosted a discussion entitled “North Korea: Next Steps.” David Sanger, The New York Times National Security Correspondent, Sue Mi Terry, former Korea Analyst for the CIA, and Michael Green, Senior Vice President for Asia and Japan Chair of CSIS, participated in the panel discussion. On September 29, 2017, the Center for Security Policy Studies hosted a seminar entitled, "North Korea and the Nuclear Future." Mark Fitzpatrick discussed the current nuclear state of North Korea and what it means to the national security of the United States. 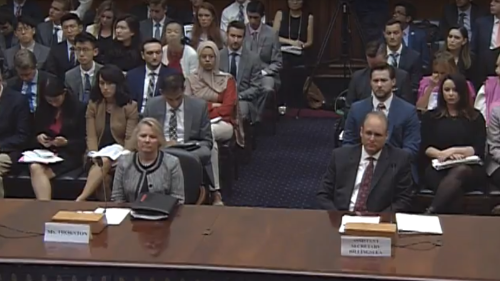 On September 12, 2017, the House Foreign Affairs Committee hosted a hearing, "Sanctions, Diplomacy, and Information: Pressuring North Korea, focusing on economic and political strategies toward North Korea. Susan Thornton presented current US policy toward NK, signs of progress, and suggestions for the next step, stressing that we should not lose sight of the plight of the US citizens detained by NK nor of the regime’s egregious human rights violations. On September 9, 2017, Professor Muhn shared his experiences from frequent research trips, including his interviews with numerous artists, art historians, faculty members, and students of the Pyongyang Art College to provide a better understanding of North Korean art. The Committee for Human Rights in North Korea (HRNK), founded in 2001 and based in Washington DC, is a non-partisan human rights organization whose principal objective is to raise international awareness of North Korea's human rights situation through the publication of well documented reports and by undertaking outreach activities in support of the recommendations in those reports. More information about HRNK is available at www.hrnk.org.